Supervalu Inc. announced this week that it has agreed to sell its Save-A-Lot business to private equity Onyx Corporation for $1.365 billion. The move comes as a slight surprise to many observers who expected Supervalu to divest itself of the 1,360-unit supermarket chain by spinning it off and taking it public. 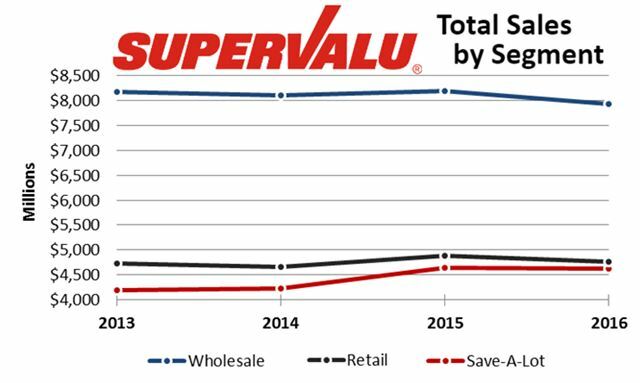 All things being equal, jettisoning Save-A-Lot will cut Supervalu’s non-wholesale revenue by approximately half ($4.6 billion), tying the company’s future even more tightly to that wholesale business, which will account for 60%+ of total sales after the deal is finalized (by January 31, 2017 according to the announcement). The billion-plus in cash will go to paying down debt at Supervalu (a priority for the company) and an argument can be made that a stand-alone Save-A-Lot will have greater freedom to grow. 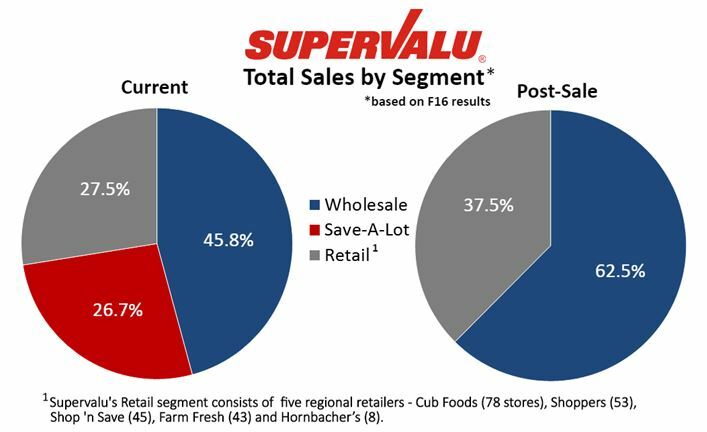 However, Save-A-Lot has been the relative bright spot in the Supervalu portfolio in recent years that has seen other retail sales stagnate and the wholesale business decline. The Q2 earnings release that accompanied the announcement didn’t place the company in any better light. Wholesale business is off 6.7% for the first half of the year while non-Save-A-Lot retail sales are -3.9% for the same period. Save-A-Lot sales, in contrast, have been basically flat (-0.3%). Supervalu has couched the sale as a way for it to redouble its efforts to grow its wholesale business, and what else can be said when debts must be paid and an $8 billion business needs a boost.